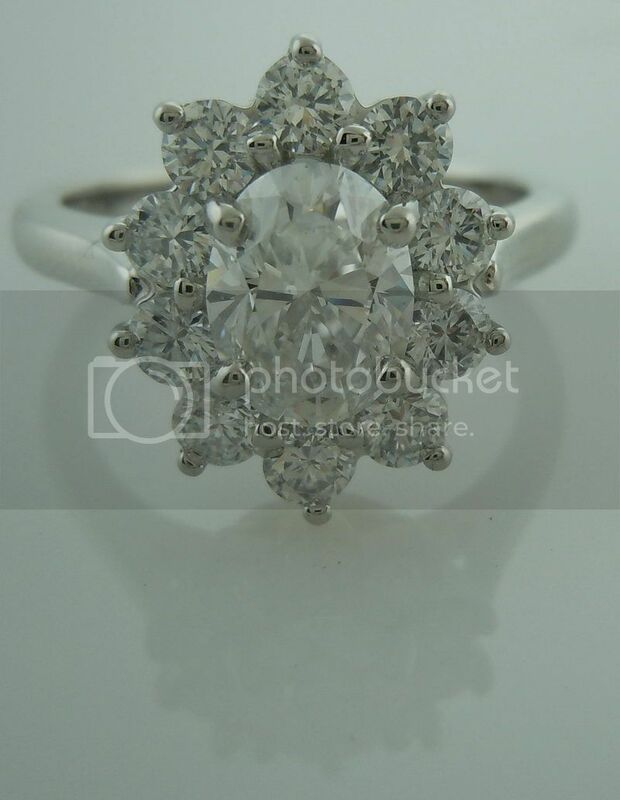 This item has a starting price of $3895 with diamonds purchased from Diamonds by Lauren. 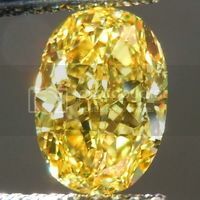 As shown with a 1.02 D/VS2 Oval Shape Diamond (not included in the price of the listing). 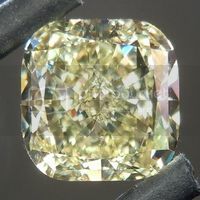 On this particular example, the setting has 10 E-F VS round brilliant diamonds for a total weight of .66cts. 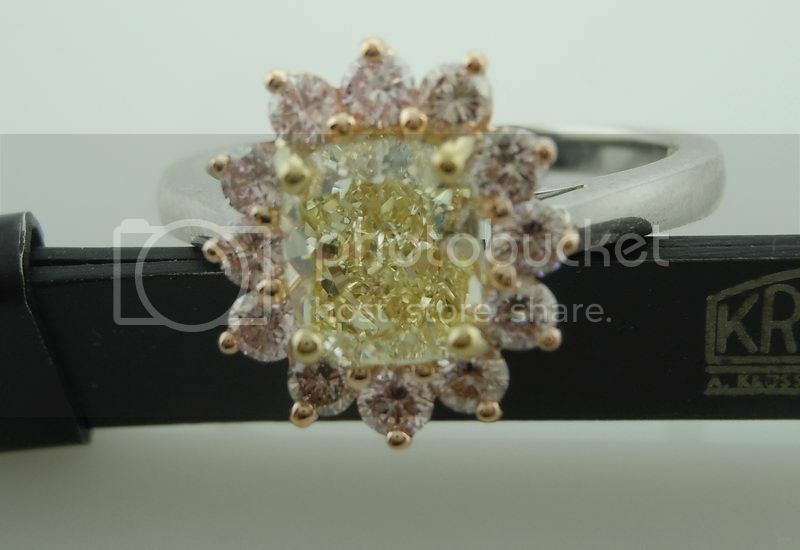 The setting is handmade - totally top notch, unsurpassed in quality. 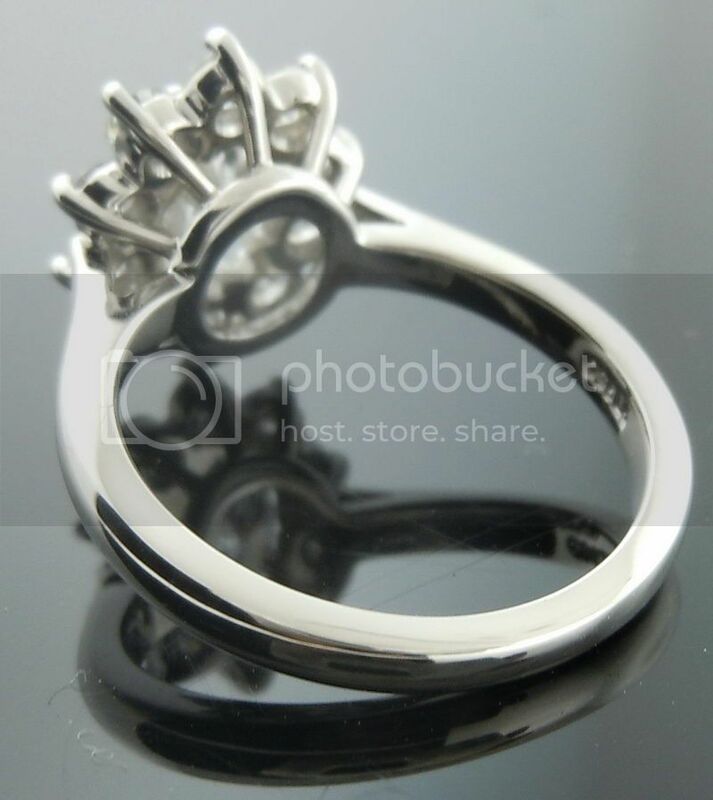 It is made so it sits low and close to the finger. 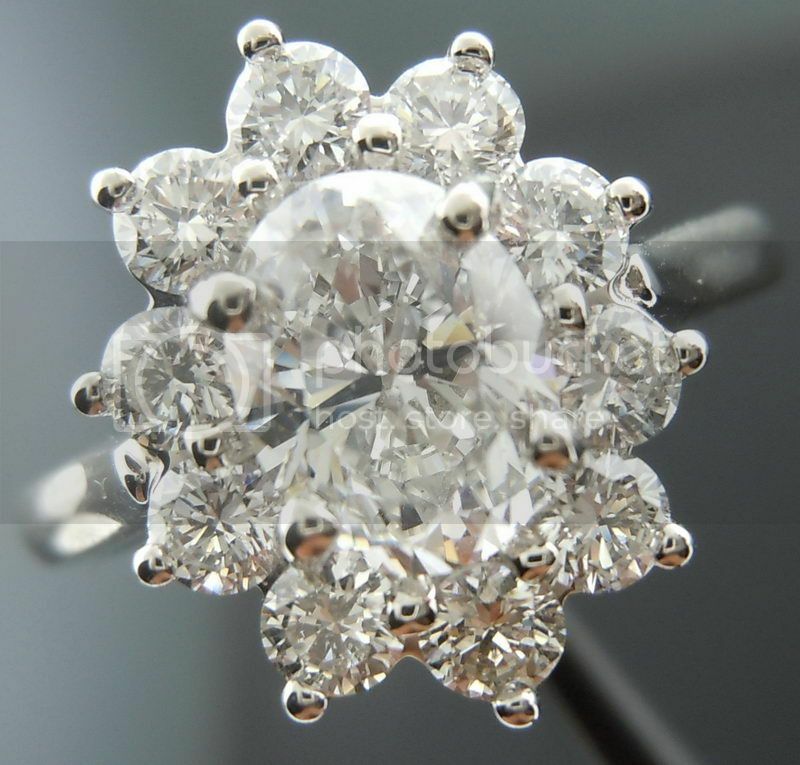 The floral motif pays homage to nature's beauty. 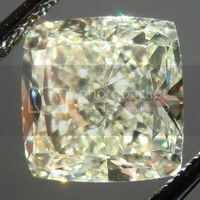 The diamonds surrounding the center are carefully selected. 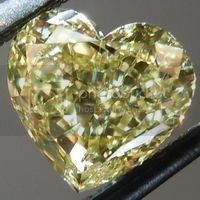 They are all among the finest cut, color and clarity stones you will find - anywhere. 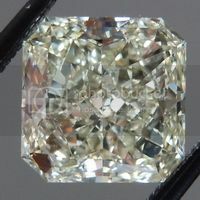 These stones are the perfect size to appear large enough, yet not overpower the center stone. Not many companies would feel comfortable posting photos taken so close up and not photoshopped. We have no need to hide any blemishes - our work is that good. 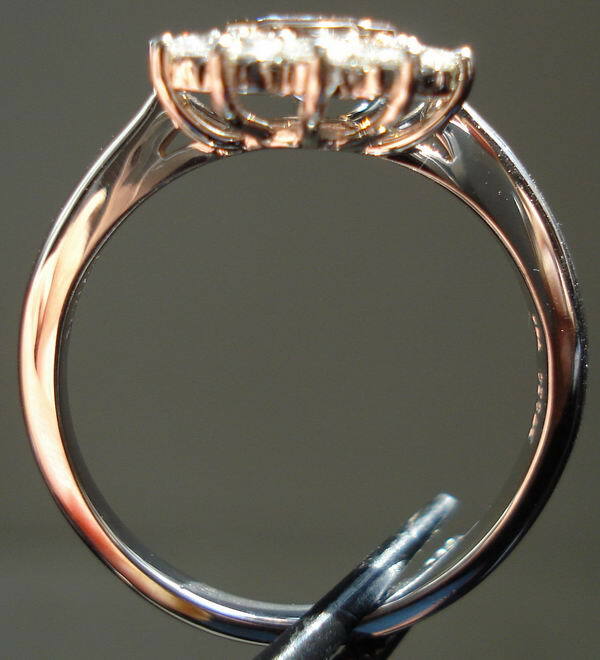 Even the bottom of the ring is work of art. 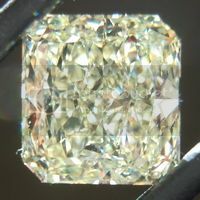 Below as shown with a 1.46 Y-Z, Natural Light Yellow VS2 Cushion Cut Diamond (not included in the price of the listing). 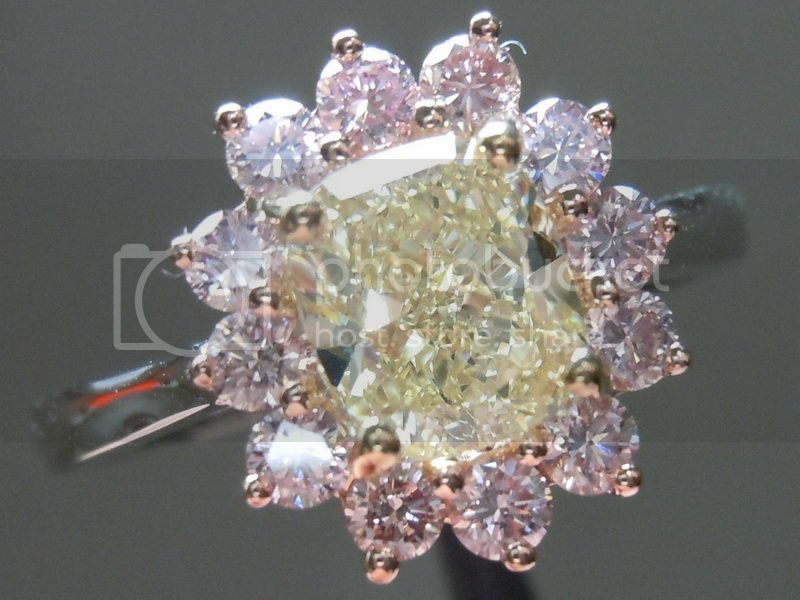 On this particular example, the setting has 12 Fancy Pink SI round brilliant diamonds for a total weight of .55cts. 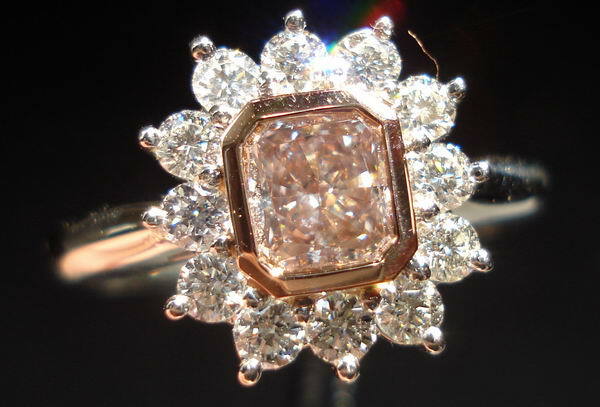 Now shown below with a .72ct Fancy Pinkish Brown VS2 diamond. 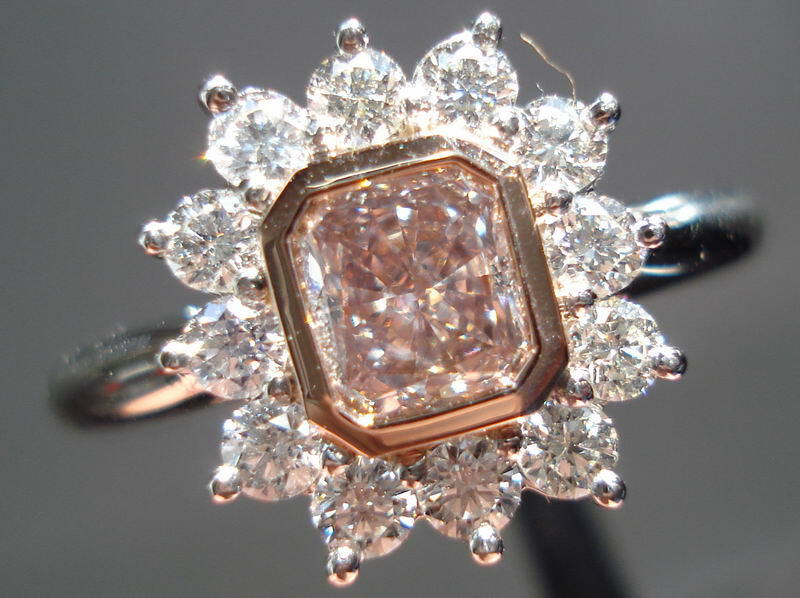 The diamond is set in Platinum with 18Karat Rose Gold bezel around the center diamond. 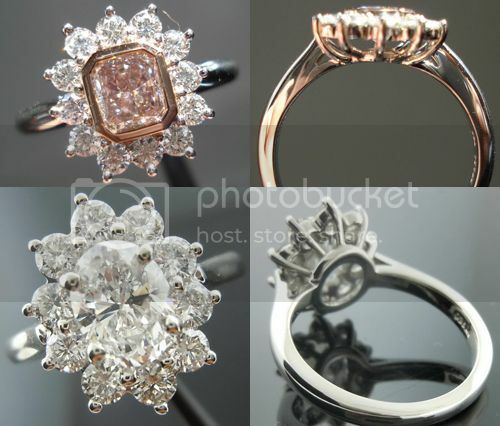 If you would like, we are able to bezel set your diamond as well. 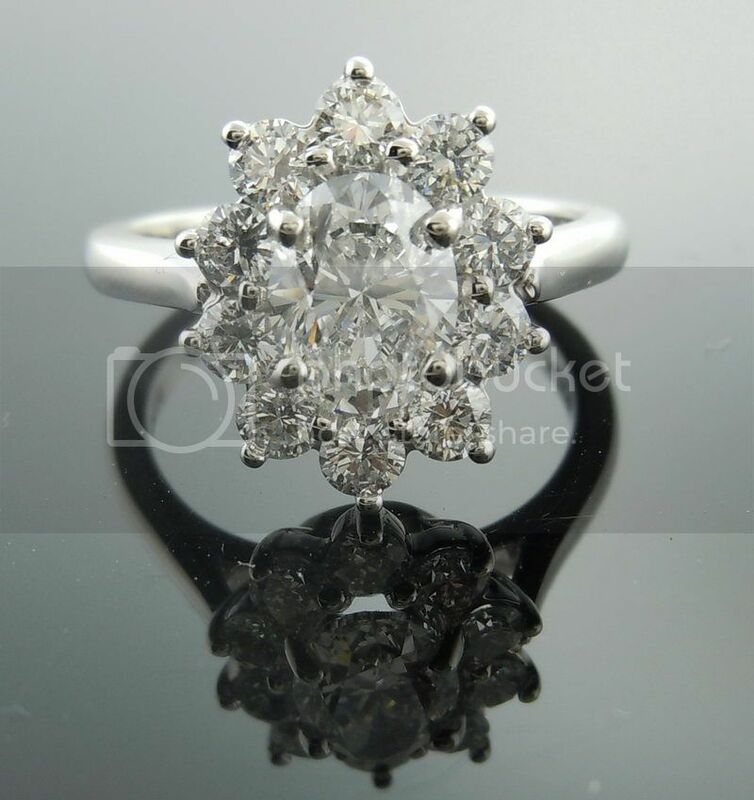 This ring has 12 round full cut diamonds for a total weight of .56cts. 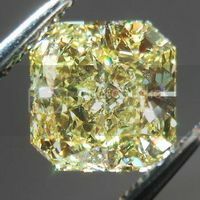 Your total weight will vary based on the size and shape of the stone you pick.